Arlington AFC is a soccer football club that competes in the Kildare & District Underage League. We would urge people to be vigilant in their areas and, if they notice any illegal dumping, please contact free phone 1800 32 32 30 to report it. Further details contact Nidhi Kumar on 086 3586138. Emo Tidy Towns weekly tidy up . Meet at 7.15 at the Gate Lodge each Monday evening. Gracefield Gaa is located on the Offaly side of Portarlington. O’Dempsey’s Gaa club is situated in the parish of Portarlington Co. Laois with a catchment area around the village of Killenard. We are bordered by 5 other Gaa Clubs – Portarlington, Emo & Courtwood (Laois), Gracefield (Offaly) and Monasterevin (Kildare). Further details contact Ray on 087 287 5116. The P.C.D.A. 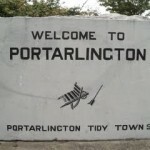 are compiling and up-dating a new Community Directory which is to include all Clubs and Businesses in Portarlington and surrounding areas. For further information please phone Lucy on 057 86 45405 between 9am and 12.30pm Monday to Friday. 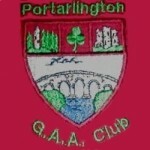 Portarlington GAA club is one of the oldest clubs in County Laois. It is believed that the club was affiliated around 1888/9 to the GAA but the club was probably created around the time the GAA foundation was formed in 1884. Basketball takes place on Wednesday nights from 9 to 10pm in Portarlington Community Centre. Beginners welcome. Come along and enjoy the fun and fitness. Contact Dolores at 087 247 2851. Our primary aim is to enhance the appearance of our town, making it a more attractive place to live, work and do business in. Why not get involved. All help is appreciated. Further details contact Anne Dunne on 087 414 6600 or visit our website www.porttidytowns.com or Facebook. Training times Kids only are 5pm till 6pm every Wednesday.. Catering for age group 6 years plus to 15 years..
Stump Jumpers is a new adventures bicycle racing club in Portarlington. Begginers and experienced welcome. Contact John on 086 105 5051 for details. Like us on Facebook.